Dom Benedict Andersen, Sub-Prior of Silverstream Monastery in Ireland, gave a lecture at the last Society for Catholic Liturgy conference and has asked NLM to make available a link to the audio recording. I will say this much: the talk is dynamite. It is quite possibly the best statement I have seen of the intimate relationship between a serious commitment to liturgy as central in the Christian life and the success of any attempted evangelization of the modern world. Yes, it is a theme familiar to the pages of NLM, but Dom Benedict brings together a veritable compendium of the best authors and ideas on the topic, and synthesizes them with great skill. Highly recommended. With his permission, I am attaching a short excerpt of the talk, to whet the appetite. [T]he Greeks led us to the edifices where they worship they worship their God, and we knew not whether we were in heaven or on earth. For on earth, there is no such splendour or such beauty, and we are at a loss how to describe it. We know only that God dwells there among men, and their service is fairer than the ceremonies of other nations. For we cannot forget that beauty. even through only ordinary channels, came to me graces that overwhelmed me like a tidal wave, truths that drowned me with the force of their impact: and all through the plain, normal means of the liturgy — but the liturgy used properly, and with reverence, by souls inured to sacrifice. 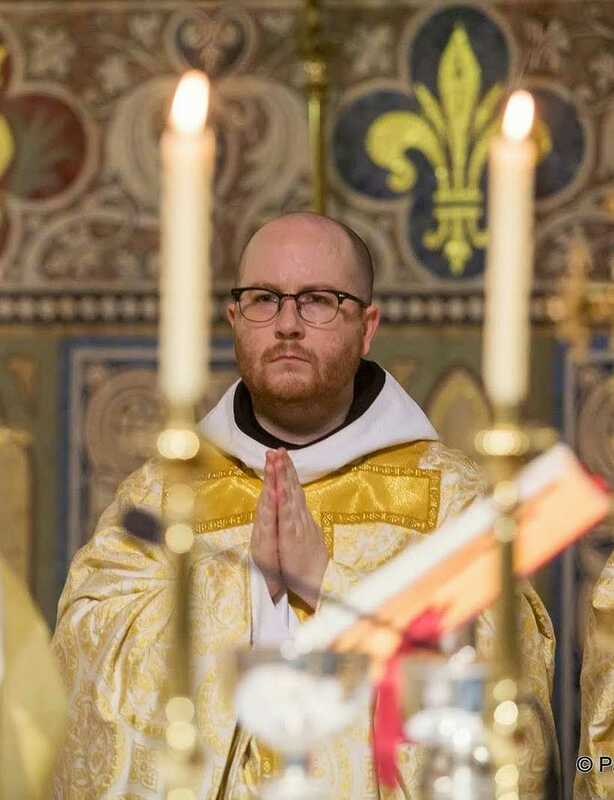 […] The eloquence of this liturgy was even more tremendous: and what it said was one, simple, cogent, tremendous truth: this church, the court of the Queen of Heaven, is the real capital of the country in which we are living. This is the center of all the vitality that is in America. This is the cause and reason why the nation is holding together. These men, hidden in the anonymity of their choir and their white cowls, are doing for their land what no army, no congress, no president could ever do as such: they are winning for it the grace and the protection and the friendship of God. Certainly one thing the monk does not, or cannot, realize is the effect which these liturgical functions, performed by a group as such, have upon those who see them. The lessons, the truths, the incidents and values portrayed are simply overwhelming. Cardinal Ratzinger once wrote: “How we attend to liturgy determines the fate of the faith and the Church.” When we cannot pray aright, we as a Church can’t think aright, we can’t live aright — and we certainly can’t evangelise aright. If there is some kind of malfunction in the Church’s approach to the sacred mysteries, there will always be a corresponding malfunction in the Church’s ability to evangelize. Is this not a serious betrayal of the mandate we have been given by the Church to become true agents of the New Evangelization?